We serve Reno, Sparks, Carson City, Dayton, Virginia City, & surrounding areas. Come join the greatest sports/recreational league in Northern Nevada. This is a great way to have fun, meet people, and play pool! May 4th is the FREE End of Session Pool Tournament: $1,200.00 in prizes. ANYONE can win! Looking for League Pictures - the Photo Gallery? Talk to your friends, neighbors, and coworkers throughout Reno, Sparks, Carson City, Dayton, Virginia City, and surrounding areas. You'll find that they either play in the APA or know someone who does. It'll surprise you! Clerks, secretaries, janitors, lawyers, chiropractors, doctors, waitresses, truck drivers, bank tellers, and even school teachers... all play pool in the APA pool league. Over one fourth of APA members are female. The APA is the world's largest amateur pool league with more members than all other amateur leagues combined. Nationally, the APA currently boasts over 250,000 members (and growing). 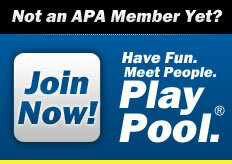 Think you're not good enough to play in the APA? 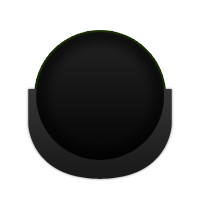 Consider this - 75% of APA members are beginning to intermediate players, meaning you don't have to be a pool pro to play. And, with the APA's Equalizer Handicap System, everyone has a nearly equal chance of winning. May 6 2019 6:30PM Summer 2019 Session Starts This Week!